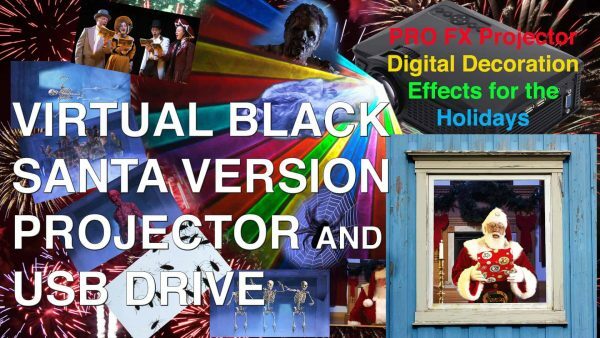 The ProFX projector came out from Morris Costumes and the STOCK version contains various Holiday Scenes made by Jon Hyers, the filmmaker who created Virtual Black Santa, and this version contains ONLY Virtual Santa Larry Jeffrson scenes as Mpeg4 files on a USB drive that works with the projector. 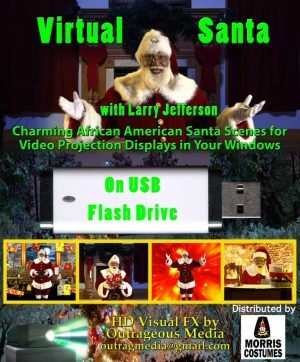 The demo for the PROFX Projector – for you to understand the details of the projector, watch the demo video, which was made with the original scenes that normally come with the profx, not the Black Santa Scenes. But this demo is good info, watch it and refer to it in the future, as it shows information about the projector, and how to use it. 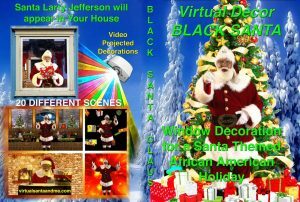 Again, your version is with 10+ African American Santa Scenes.